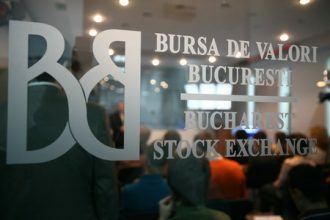 The number of active accounts at the Bucharest Stock Exchange (BSE) fell by more than 27% from the fall of 2016 until June 30, 2018, according to the Financial Supervisory Authority (ASF) reports. Latest ASF data show that there were 16,391 active accounts at the middle of last year, but since then, the “ordinance on greed” had its effects on the stock market and has deepened the development crisis of the Romanian capital market. Moreover, under the pressure of unfavourable political prospects for the stock exchange, 608 active accounts in brokerage firms (-2.7%) have been closed only in the last quarter of 2016, and the number of accounts reached 21,985 at the end of that year. Even though the issuance of OUG 114/2018 was surprising, investors did not have high expectations from the foreseeable winners of elections in autumn 2016. Two years ago, BSE officials estimated that there would be more than 60,000 accounts, considered active because at least one transaction had taken place in six months. According to market information, accounts operating really frequent transactions are not more than a few thousand. Otherwise, the Investor Compensation Fund (FCI) counted 53,981 investors at the end of last year, down 18.8% from 2016. The overwhelming majority of investors in the care of FCI are still formed either by investors who are no longer active, or former “coupon holders”. For comparison, active accounts at the Warsaw Stock Exchange are about 250,000, or over 16 times more than in Bucharest. Poland’s GDP is only 2.5 times higher than Romania’s GDP, and the GDP per capita is only 1.2 times higher. The main differences between the Polish and the Romanian stock exchanges consist not only in statistics but also in the recognition on the global market that the two institutions have gained, including based on statistics. The Warsaw Stock Exchange was promoted to the developed market category, from the emerging market category, while the BSE has been struggling to become an emerging market for many years, but has remained in the lower, border market category. Stock market capitalization (the value of listed companies) in Warsaw is more than eight times higher than on BSE: the equivalent of over EUR 285 billion, compared to EUR 33.5 billion. There are 464 companies listed in Warsaw, out of which 51 are foreign, while in Bucharest there are 85 listed, 3 of which are foreign: Erste Group Bank, DIGI Communications and Purcari Wineries. 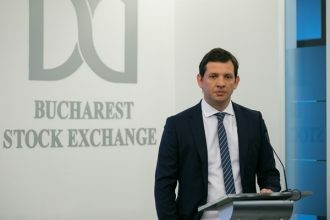 BSE’s General Manager, Adrian Tanase, believes that “the main cause of this situation, which is not happy at all, is the lack of understanding of the capital market mechanisms among the population,” according to a statement for cursdeguvernare.ro. “We have to get to promoting the idea of saving money through securities to a wider audience, not only within the financial environment, because this savings act through the stock exchange is accessible to every person once some simple principles are understood, whether or not that person has a financial background,” says Adrian Tanase. The BSE official just incidentally recalls the usefulness of some tax regulations that stimulate the saving by securities. Adrian Tanase alludes to schemes (famous in the Occident) to reduce income tax on long-term savings, such as pensions. One of BSE’s objectives, stated last year by its general manager, Adrian Tanase, is that the Bucharest Stock Exchange will reach 100,000 active accounts. It has to be said that an investor can have multiple accounts at several brokerage firms. The issuance of government securities for the population, which also overlook the stock exchange. In this context, even if OUG 114 could be much more than a new virus infection for footing the bill of government policies (real budget deficit), that will only aggravate the chronic illness of the stock exchange’s underdevelopment. What the Romanian stock market lacks is precisely the example of the state. When it existed, the stock market excelled. Even if only under the pressure of international institutions, the listing of large state-owned energy companies has brought BSE closer to the place it deserves in the economy. Now, Hidroelectrica’s listing is again unlikely, a listing that would be decisive for statistics to meet the emerging market criteria. the behaviour of the future Sovereign Fund designed by the Government that will include the most important stakes of state-owned companies, but the Fund will be kept away from BSE’s transparency. The development of the Stock Exchange is obstructed by the vicious circle that starts with the low liquidity, a situation that cannot be overcome by the small number of investors. The situation does not attract new companies to the listing, and so liquidity does not increase. “The Stock Exchange has projects that can improve the liquidity and the value of the capital market, such as the development of the secondary market (CCP project of the local central counterpart) or the projects of attracting entrepreneurs to the stock market (Made in Romania). But I believe the big project, which should not belong only to the Stock Exchange, but the whole financial industry, is the development of the investor community. Once we have a large and diverse community of investors, we shall certainly have a lot more companies interested in listing,” says Adrian Tanase, CEO of the Bucharest Stock Exchange.